From Festival events to yoga classes, here's what ADE daytime program has to offer. After the news about the City Tours North, East, South, West and the City Center, we shift our focus to an overview of daytime festival events. For those who do not consider themselves night owls, we highlighted some of the festival events during the ADE Weekend that will take place during the day. The well-known Awakenings brings its festival event to the daytime and invites Kölsch, Sven Väth, Âme and many others. Dockyard teams up with Mystic Garden for a daytime event on an industrial but green location: Havenpark. Acts such as Len Faki, Egbert, Dax J will be present. The ADE Hangover is the place to cure your ‘hangover’ on ADE Sunday, with live bands, DJs, Stalls, Vinyl Crates, hot tubs, a sauna, a fireplace and more. 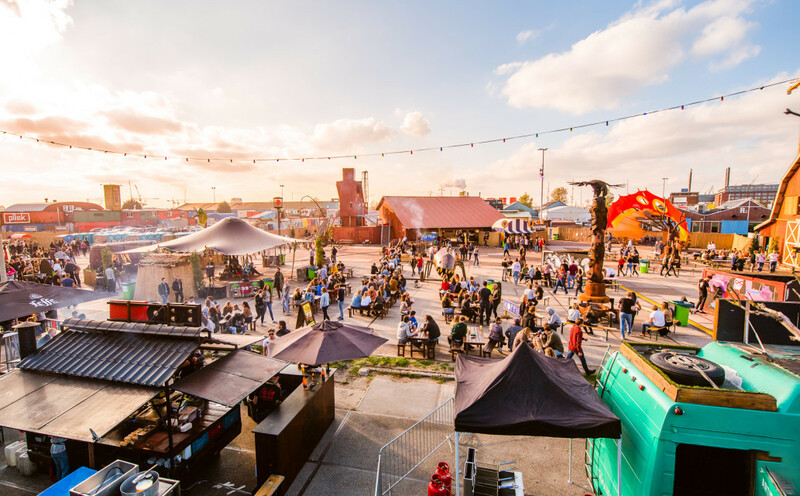 Into the woods hosts a weekender on Friday and Saturday at the NDSM Wharf. The lineup includes Paula Temple, Matrixxmann, Tommy Four Seven, Orpheu The Wizard and many more. Dave Clarke hosts a daytime event focused on electro. In addition to his Alienata b2b set, Umwelt, Brutuzz and many others will join this event. On ADE Saturday, Afrolosjes collaborates with Stadspodium and Future Urban Legends to host a daytime event full of afro-beats, afro-house and urban music. Starting at 7 AM, the Breakfast Club offers you an included freshly made breakfast and invites Tom Liem, Marco Shuttle, Peggy Gou and others. At this dynamic, open-minded and creative place where club and live music meet, this morning and afternoon party will feature Bloody Mary, Ici Sans Mercy, Zenker Borthers and others. Relax your body with a yoga session combined with Electro music by DJ Edgar, that will make you flow, breathe and sweat. Visit Equal Yoga for a fun, intense yoga class that's good for your mind and body. A Saturday afternoon vinyl market during ADE with affordable records in the Volkshotel. Expect labels and vinyl shops to bring their best yet affordable records, from disco to soul, reggae, house and jazz. Vinyl DJs are invited to play on this lazy afternoon. Single tickets for festival events can be found here. All events are accessible with the ADE Pass (sold out). The ADE Card is still available (€15,-) and can be found here.